Knowing that Devaugn is in a relationship, Nia simply don’t care. He is the ideal man, and Nia is convinced that if she works hard enough, she can show him that she is all the woman that he needs. Stephanie will be a thing of the past and Devaugn can start taking care of Nia and her three children full time. Or will he……. These three friends all have one thing in common; they are really their man’s chick on the side. 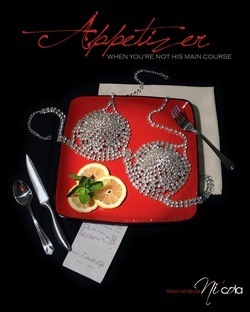 What happens when a woman find’s out that she is not her man’s main course, she is only the appetizer…..